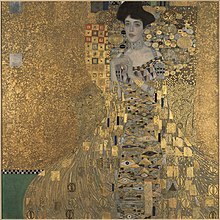 The Wiener Moderne (German pronunciation: [vinɛʁ mɔˈdɛʁnə]) or Viennese Modern Age is a term describing the culture of Vienna in the period between approximately 1890 and 1910. It refers especially to the development of modernism in the Austrian capital and its effect on the spheres of philosophy, literature, music, art, design and architecture. Ernst Mach was an influential philosopher of science and physicist. Ludwig Wittgenstein made important contributions in analytic philosophy and philosophy of language. Sigmund Freud caused a revolution in psychology through the foundation of psychoanalysis. He published in 1899 (dated 1900) his famous book "The Interpretation of Dreams". The architect Otto Wagner wrote a book titled "Moderne Architektur von 1895" (en: Modern architecture of 1895), in which he declares the era and predominance of the historic style (especially the buildings on the Ringstraße in the neo-Greek, neo-roman and neo-baroque styles) to be over. He did not know of the term "Moderne" yet, he only spoke of the necessity for architecture to keep up and adapt to new technological developments. Otto Wagner himself would make use of new building materials such as steel and iron and encompass it into his work. Adolf Loos designed some of the most well known structures of the period. These included the Looshaus, the American Bar, and the Steiner House, among others. The Looshaus in Vienna (also known as the Goldman & Salatsch Building) marks the rejection of historicism, as well as the ornaments used by the Wiener Secession. Adolf Loos received the assignment in 1909, and the building was finished in 1910. Upon opening, its appearance shocked Vienna's citizens, since their overall taste was still very much historically oriented. Because of the lack of ornaments on the façade, people called it the 'house without eyebrows'. The American Bar, also known as the Kärntner Bar, showcases Loos' combination of simple, unadorned forms with opulent materials and fine, simple detailing to give a modern, rich impression. The Steiner house was designed for the painter Lilly Steiner and her husband Hugo. It is located in a Vienna suburb. The Steiner house became a highly influential example of modern architecture; it played a significant role in establishing Loos' reputation as a modern architect to the audience outside of the Viennese community, and became an obligatory reference for architects during the 1920s and 30s. Almost all of the literature of the Modern Movement has reproduced the garden façade as an indisputable example of radical rationalist modern architecture. The most notable literary grouping of this period was the Young Vienna movement, a society of "coffeehouse literati" centred on the writer and critic Hermann Bahr. Bahr's 1890 work Zur Kritik der Moderne (On Criticism of Modernity) established the word modernism as a literary term, whilst Die Überwindung des Naturalismus (The Surpassing of Naturalism) published the following year, declared the then current style of naturalism to be at an end. He was influenced in this by developments in French literature, notably symbolism, which he had encountered while studying in France (1888–1890) where he had come to know the works of avant-garde writers such as Joris-Karl Huysmans, Paul Bourget and Maurice Barrès. Bahr proclaimed a new Romantik der Nerven (romanticism of the nerves), which concentrated on the impressions and sensations of the human soul; in this he referred back to developments in the still new science of psychology and his critical writings were consequently influenced not only by literary writers but also by psychologists, notably Sigmund Freud, and the philosopher of science Ernst Mach. The literary consequence of this Romantik der Nerven was the encouragement of literary forms that foregrounded the perceptions of the individual, among them the unreliable narrator and the interior monologue. Bahr used his position in Vienna as a theatre critic and feuilletonist to promote other members of the Young Vienna circle, most notably Hugo von Hofmannsthal, who met at the Café Griensteidl and later at the Café Central. Other members of the group included Arthur Schnitzler, Peter Altenberg, Felix Salten, and Stefan Zweig, all of whom, though disparate in styles and interests, demonstrate different facets of the character of the Wiener Moderne in their writing. Schnitzler created one of the earliest examples of modernist stream of consciousness writing in Lieutenant Gustl (1900), and his most famous work, Reigen (La Ronde) (1897), is typical of the fin de siècle interest in sexuality. Hofmannsthal's early poems show the influence of the French symbolists and Stefan George's aestheticism, whilst his work as a librettist for Richard Strauss reflects the interpenetration of the different branches of the arts typical of the epoch. The aphorist Altenberg is notable as much for his archetypically bohemian lifestyle as for his writing. Salten, best known nowadays for his later children's books, is widely regarded as the author of the infamous pornographic novel Josephine Mutzenbacher, a sign arguably of the decadence that was associated with the period. Zweig (also a librettist for Strauss) was, in addition to his own stylistically polished writing, a noted translator of the symbolists, and later a passionate defender of a collective European culture in the face of aggressive nationalism, reflecting the openness of the epoch to foreign cultural influences and indeed the melting pot of different cultures that was part of fin-de-siècle Vienna. The other dominant voice in Viennese literature during this period was the satirist Karl Kraus. Originally Kraus had been associated with the Young Vienna writers but he broke with them and attacked them in his 1897 essay Die demolierte Literatur (Demolished Literature), which was written after Café Griensteidl burnt down. In his periodical Die Fackel (The Torch), Kraus regularly satirised lazy journalism, which he considered to be exemplified in the feuilleton writing of many of his contemporaries, but his interests ranged over many of the other issues which were prominent in the cultural life of fin-de-siècle Vienna, among them Zionism, psychoanalysis, political corruption and nationalism, all of which he attacked in the pages of Die Fackel. The antagonism between Kraus and other leading Viennese cultural figures, which in the extreme case of his criticism of Felix Salten's feuilletons led to Salten assaulting him in the street, but also encompassed spats with Freud, Theodor Herzl and Hugo von Hofmannsthal among others, might be seen as a sign of the vigorous debate characteristic of the period. This page was last edited on 25 March 2019, at 10:05 (UTC).